The 2019 Concrete Decor Show will move your business forward. Prepare to experience the newest product technologies, first-class education, networking with peers worldwide and some Texas cooking that will give you a hankering for more. 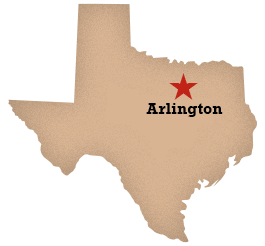 It all takes place in Arlington, Texas, October 28-31, 2019. Situated beside an emerging new indoor Texas Ranger stadium, the Dallas Cowboy stadium, a new sports district called Texas LIVE and Six Flags, this is the hub of Texas and a quick-connect from every major airport in the US, even abroad. If you want to do a little hog hunting while you’re in town, well then we need to talk! But, first, let’s get your reservations nailed down because this show only comes around once every two years. New for 2019 — The show will feature how to make decorative and architectural concrete an integral part of the sustainable building process. Concrete, new and old, has been a fundamental focus for customers deciding between a host of building finishes. As the building industry and consumers increasingly recognize the value of using sustainable building materials, the 2019 Concrete Decor Show will showcase the products, services and the value of using concrete throughout the building process. Tilt-up, structural concrete insulated panels (SCIPs), insulated concrete forms (ICFs) and other cement-based building systems will be on display while decorative concrete systems show their strength and elegance as the preferred approach for durable, energy-efficient buildings. The construction and renovation markets are strong and concrete now plays an increasingly bigger role across the U.S. and abroad. Join us in Arlington, Texas, and let’s show the world what concrete is capable of! Target your marketing efforts with an influential audience of concrete professionals from across the U.S. and around the world — all at one time, in one place. More than 4,000 attendees are expected to visit the Concrete Decor Show in Arlington, Texas, in October 2019. Please contact us at (877) 935-8906 for more information about exhibiting or fill out the contact information below and we will be in touch.